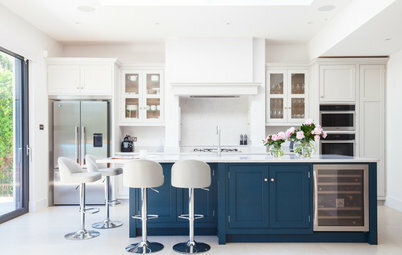 Revamping your home? 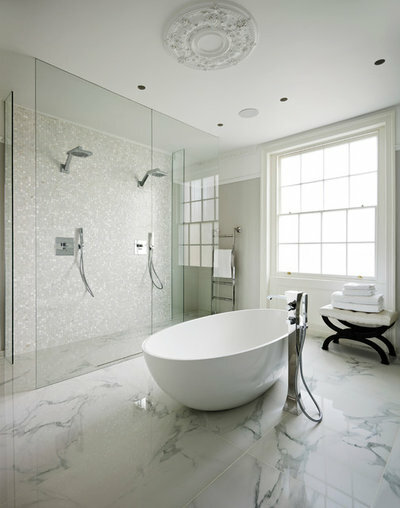 A shower room – or at least a separate showering space within your bathroom – is the dream, right? Browse these top ideas for creating one with wow factor. 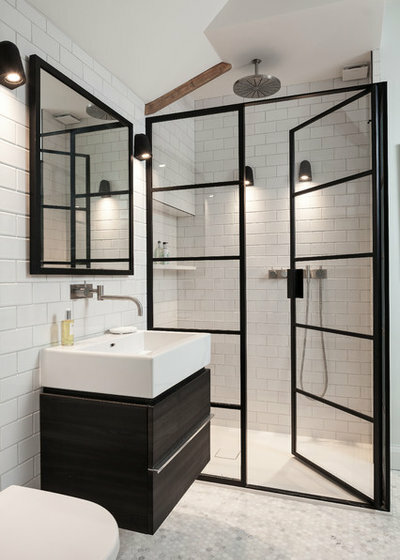 Usually reserved for the French windows of modern conversions or authentic updates on 1930s houses, these Crittall aluminium-framed shower doors are the dramatic focal point of this shower room. 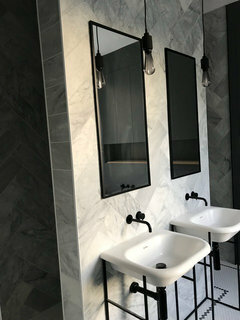 Complemented by a mirror and lighting in a similar style, they are set off by wow-worthy pale mosaic flooring, simple shower fittings and subway-style wall tiles. 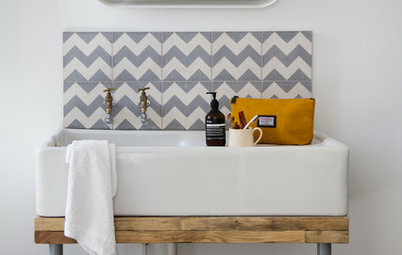 The latest trend for generous-sized bathrooms? 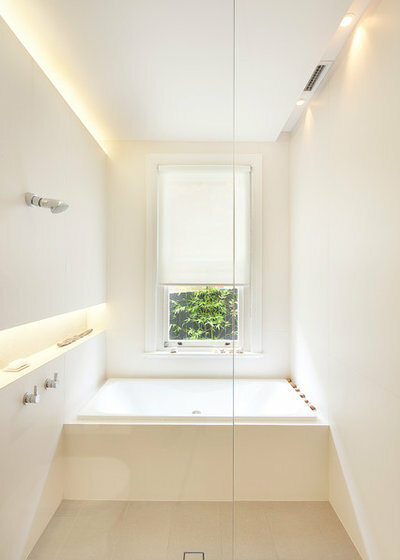 Enclosing the bath within the shower area behind a frameless glass screen, and installing the sink, loo, bidet and storage on the other side. 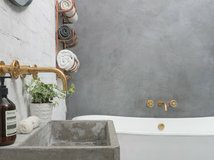 Visually, it works best if the bath is the focal point of the space and if the whole shower area is tanked as a wet room so that the floor looks streamlined – shop for slip-resistant tiles for the whole room. 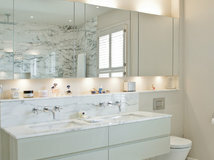 Find bathroom designers and fitters on Houzz. Large window in your bathroom? Don’t block it up and replace it with a solid wall. Instead, why not make it the focal point of the shower room? 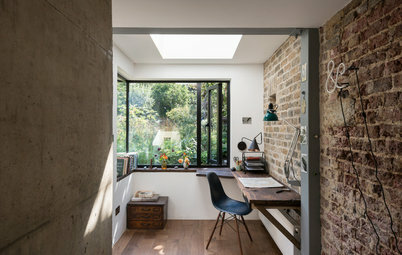 Ideally, we’d all have a beautiful, private view like this one, but if not, switchable glass would give you a similar effect, except when you’re showering. Or, if you’re on a budget, sandblasted panes will allow in the light, while obscuring an ugly or overlooked view. In a family bathroom with lots going on, a shower area that blends into the background can help to make the room feel bigger and more streamlined. The understated elegance of this double shower space is achieved simply: with frameless shower screens, concealed shower fittings, continuous use of the polished marble flooring and light-reflecting mosaic wall tiles. 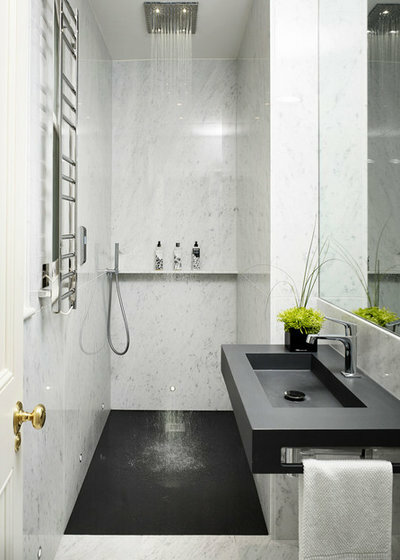 If your shower area is on the small side, you can make it – and as a result the whole room – feel larger by fitting a just-about-invisible frameless side panel, then choosing a wall treatment and flooring for it that matches that of the rest of the room. Big up the space-enhancing effect with concealed shower fittings and off-the-floor sanitaryware. 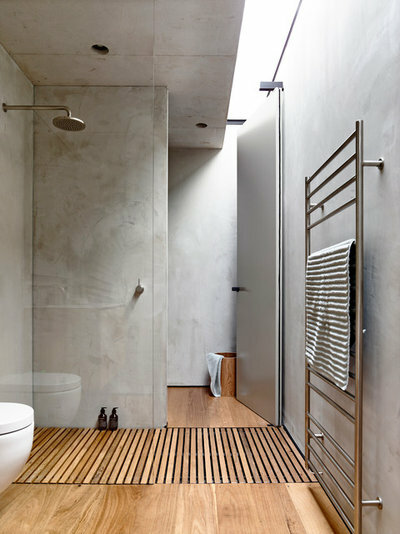 Shower areas can often be narrow and featureless, so how to make the best of them? If width is an issue, ensure the cubicle is at least 1.2m long to give you plenty of room to move around. Then, indulge in contrasting materials in the same colour palette to keep the space feeling as big but as interesting as possible. 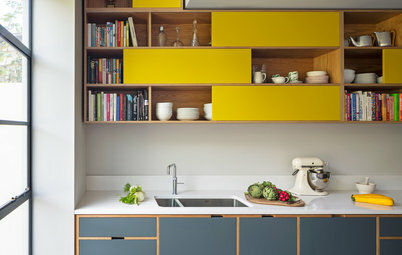 Here, wood flooring and splashbacks, laminate cabinetry and mosaic tiles all manage this trick perfectly. 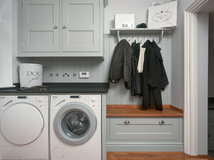 Even the narrowest space can become a valuable shower room. How to fit it out to best effect? 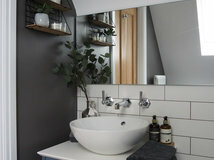 Tank the entire space to do away with the need for a screen or door; build in a narrow storage shelf for bathroom bottles; fit an overhead shower with built-in lighting; pick a light-reflecting wall colour; and install a large mirror on one of the longest walls to make the room seem wider. 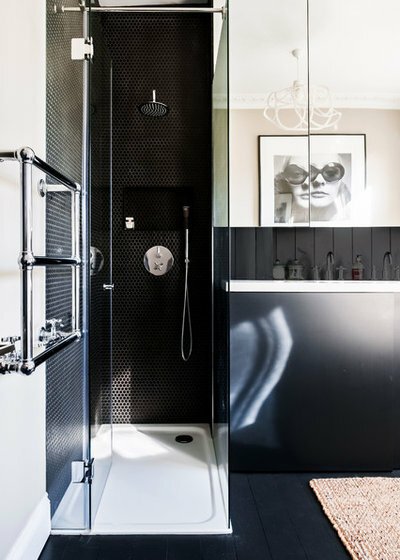 A walk-through shower space can work wonders for an en suite that you want to feel integral to the bedroom –simply divide the shower area off from the rest of the room with two walls, which can be closed off with doors, as here. 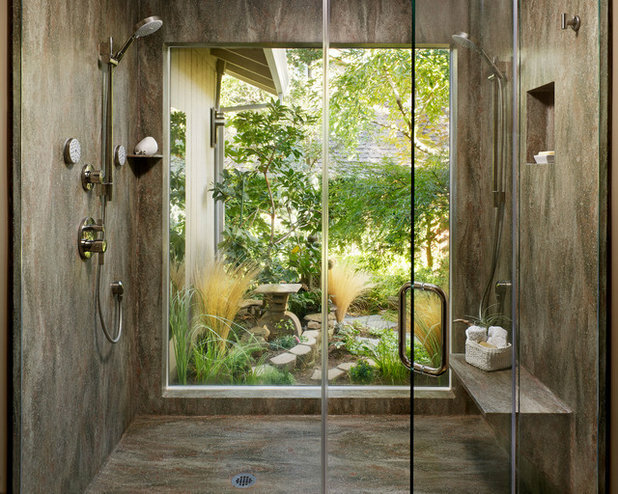 Different tiles on the facing walls make the space look more interesting, while the rainfall shower is pure luxury. Invest in good ventilation for a combined space. 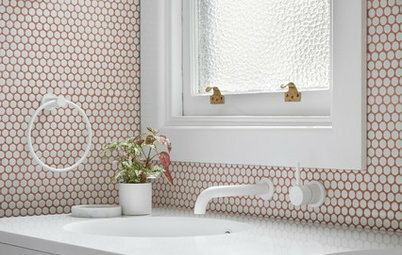 If budget is no object, consider a material that not only looks beautiful but can be moulded to suit your shower room’s shape. 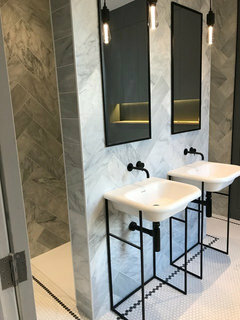 This one’s walls and shower basin are in a marble-effect Corian, while the shower fittings themselves are very simple in design to keep the finish timelessly elegant rather than over-the-top showy. 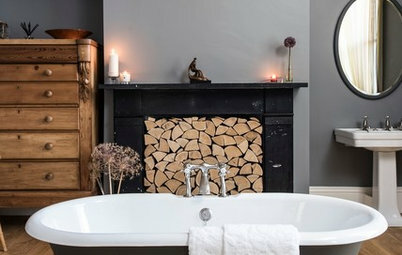 What feature would you have in your dream bathroom if money were no object? 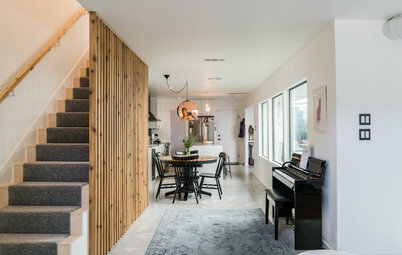 Tell us or share a Houzz photo in the Comments section. 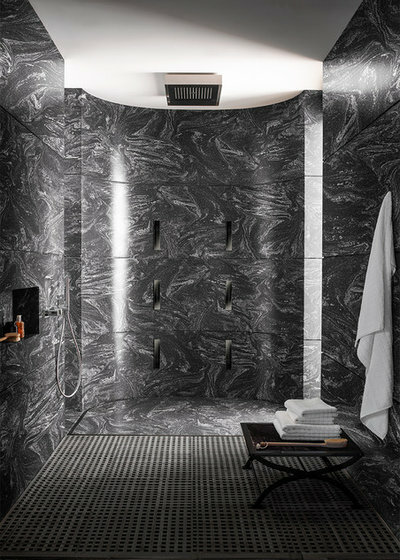 We’ve hidden this shower behind a gorgeous wall of marble for a secluded, luxurious feel. A huge shower head adds to the effect- just ensure you have enough water pressure or install a pump! 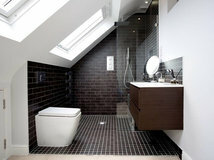 I quite like the idea of a wet room or at least a walk-in shower area/room. I love the idea of an integrated, err, grate with wooden slats but how easy is it to keep them (& the water collection area below) clean & maintain? 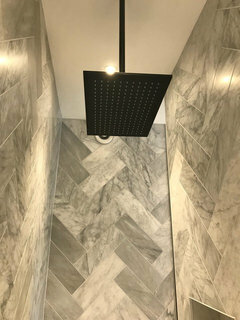 Is it a durable shower room finish? Any thoughts appreciated. Oh gosh, I love them all. Sigh. 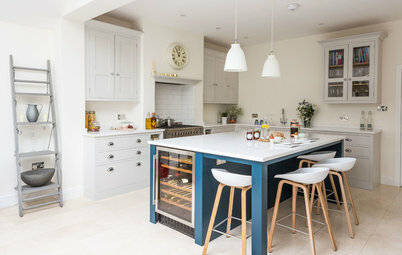 Kitchen Planning Are These the Best Kitchen Storage Ideas on Houzz?